Motorola has been working hard on releasing a slew of new devices this year. The Moto Z2 and Moto Z2 Play have been getting a lot of attention as their announcement time of the early-summer inches closer. Today, Android Authority reports of some images obtained from a trusted source. These images depict the Moto G5S in three different colors: gray, gold, and dark blue. 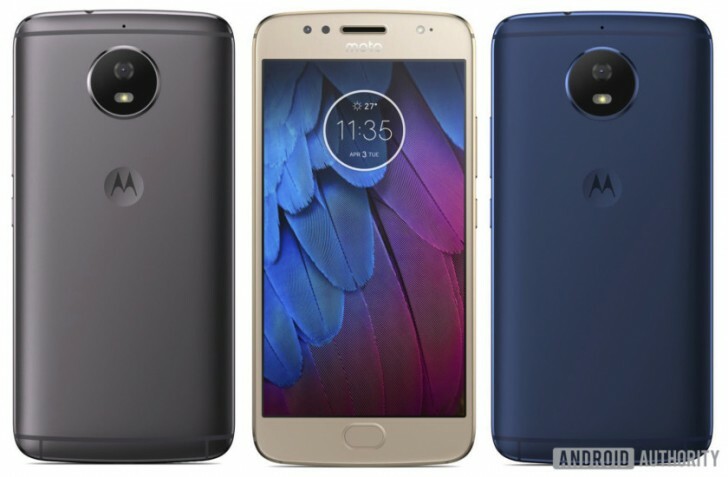 These phones look very similar to the Moto G5 except that the G5S would be built with a full-metal body as opposed to the Moto G5’s combination of an aluminum back plate surrounded by plastic. Also new to the G5S is the return of Moto’s popular dimple. This is where your index finger would naturally be placed during a phone call. In addition, the G5S will feature antenna lines rather than plastic cut-outs. Finally, according to a leaked slide that came up last week, the Moto G5S will feature a 5.2-inch screen with 1080p resolution. Also, a Moto G5S+ is supposed to come with a 1080p 5.5-inch screen and a dual-camera. For more angles of the Moto G5S in all three colors, check out the source link. Ya people are nuts including you and me. Says one thing, gets it, and changes mind with the flip of a switch. Never buy a Moto since Lenovo bought them. I have the Moto G4plus and it's the wirst phone I've ever had. Overheating,ghosting and freezing up in everyday use make it unusable.